Made his debut with Partizan during the 2004-05 season. Signed for the 2005-06 season by KK Sloga Kraljevo. During the season, signed by Atlas Belgrade. Signed for the 2006-07 season by Vojvodina Novi Sad. .signed for the remainder of the season by FMP Zeleznik. Signed for the 2008-09 season by Radnicki Kragujevac. Moved to Poland for the 2009-10 season, signed by PBG Poznan Basket. Moved to Germany for the 2010-11 season, signed, on February'11, by New Yorker Phantoms Braunschweig. Back to Serbia for the 2011-12 season, signed by Mega Vizura. On January'12 moved to Greece, signed by PAOK Thessaloniki. Signed for the 2012-13 season by AGO Rethymno. 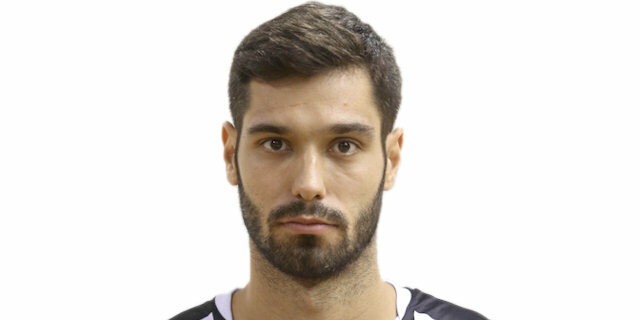 Signed for the 2014-15 season by Nea Kifisia. Signed for the 2015-16 season by PAOK Thessaloniki. Has been member of the Serbia & Montenegro U-18 National Team.